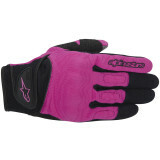 Gxsrgirl - Arizona Nice gloves "These gloves are comfortable, the palm padding is nice. They fit my hand and wrist perfectly. The Velcro quality is very nice. I would recommend these gloves." Vespisti - New Orleans, LA, USA Stylish but not garish "Stylish but not garish. 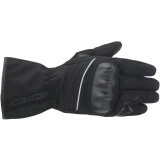 My wife needs gloves riding on the back of my Vespa 946 and these fit well, aren't constricting and look good."